A former student of UNIOSUN, Lateef Abiola, has emerged the best graduating student at V.N. Karazin Kharkiv National University in Ukraine. 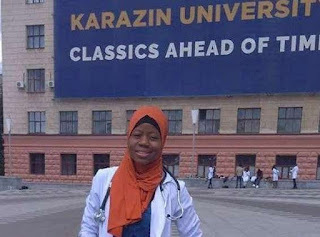 The medical student wasn't just the best graduating student in her school, she was the best graduating student in the whole Ukraine. 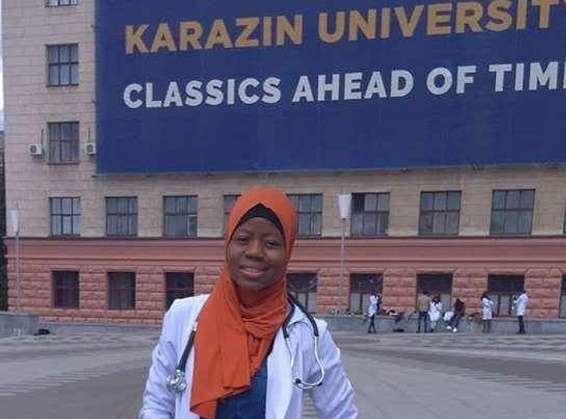 The announcement that she was the best in the entire country, was made at a Pre-Convocation meeting by the President of the university, Prof Vil S. Bakirov. She was one of the 85 students that were sent to Ukraine by the governor, Governor Rauf Aregbesola on Scholarship. The 85 students who passed their exams , were the medical students of the Osun State University (UNIOSUN) who were left stranded after the National Universities Commission (NUC) in 2012 refused to accredit the course for lack of a medical school.